All services outlined here are priced on application. This service provides a Verbal report only, yet the quality and execution of the inspection doesn't change. The cost is lower than that of the same service where normally, a written report is provided. There are many reasons why a client may require an expert opinion and advice on a matter, void of a report being constructed. Verbal reports do not offer the same security or guarantee as a written report. Contesting or making a claim related to verbal reporting would be in most cases impossible. All payments for verbal reporting must be made on site at period of inspection. This service is for a client requiring information as to whether or not it is possible to carry out alterations, renovations and/or extensions to their own property or one they propose to purchase. It is a simple site inspection where the client and the expert attend. All necessary details are discussed on site and the client is informed on site by the expert as to whether or not the proposal is possible. Alternatives and recommendations are presented by the expert to the client and expected costs to execute the works are provided. The client is required to attend and record the meeting and findings. This inspection service is normally a verbal type only, unless the client requires the findings in written form. In the case of a proposed purchaser, this service may be carried out at the same period as the pre-purchase inspection, with the client attending. This service is designed to provide a client with an estimation of replacement costs for all improvements to the unimproved land within the boundaries of the property. The report provides an independent experts opinion as to the estimated replacement costs for insurance cover. The report will include costing associated to demolition and replacement plus estimation of time for the entire work (it does not allow for accommodation). 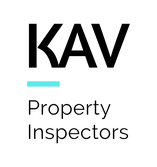 This service may also be included at the time of the pre-purchase inspection, yet the client would need to notify KAV prior to attending the site. This type of inspection service provides progress and final inspection reports on new homes, renovations and/or extensions. The service provides added security in knowing the work is to be inspected at specific periods during construction, up until the final inspection. Having an independent building inspection carried out at regular intervals certainly plays a major part in assuring the quality of work expected of the main contractor and others associated during the execution of construction. Site inspection being an inspection of vacant land prior to any works being carried out. Steel, formwork, pest and moisture barrier inspection prior to concrete placement. Inspection at period when slab placement has been completed. Inspection of pest and moisture barriers including masonry and framing at this period. Inspection of masonry facade walls and framing at period masonry has reached a height of 1500mm above ground floor level. Inspection of masonry facade and other walls including all timber framing, floor sheeting, service lines, roof framing and cover, facia, barges and eaves. In short, all areas subject to the inspection prior to the concealing by and/or placement of internal linings.